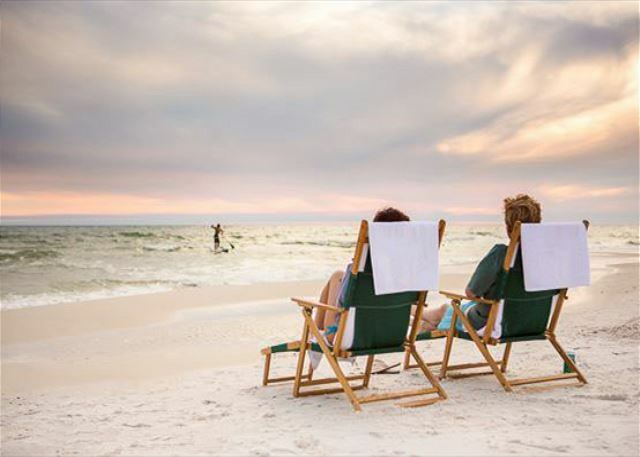 Life at the beach is easy and laid-back, and your accommodations should be as well! 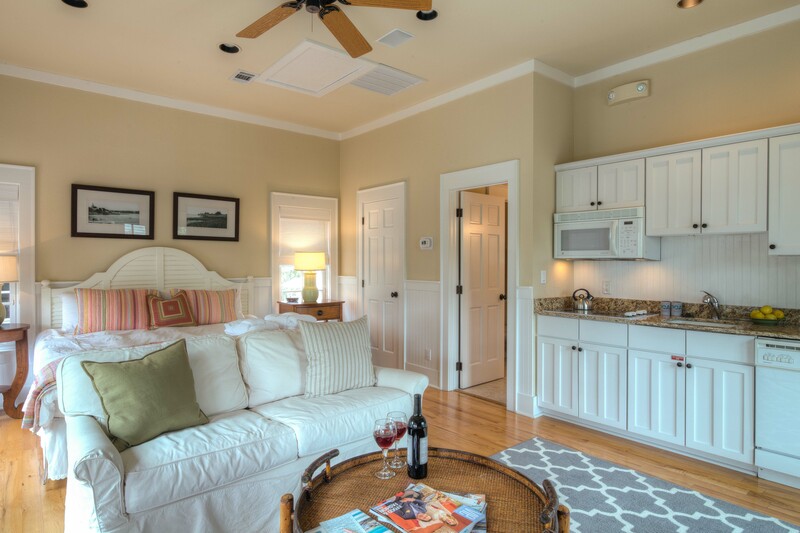 Hammock Carriage House offers the perfect place to rest your head after a long day spent at the beach. Retire to this lovely abode for a peaceful night’s sleep in a calm, relaxing atmosphere. Located a short stroll from the Sky and Cabana Pools and minutes from the town square, this studio home is quaintly furnished with a king bed and comfortable sleeper-sofa. It also features a kitchen with a full-size refrigerator, oven, four-burner, flat-top stove and a dishwasher. 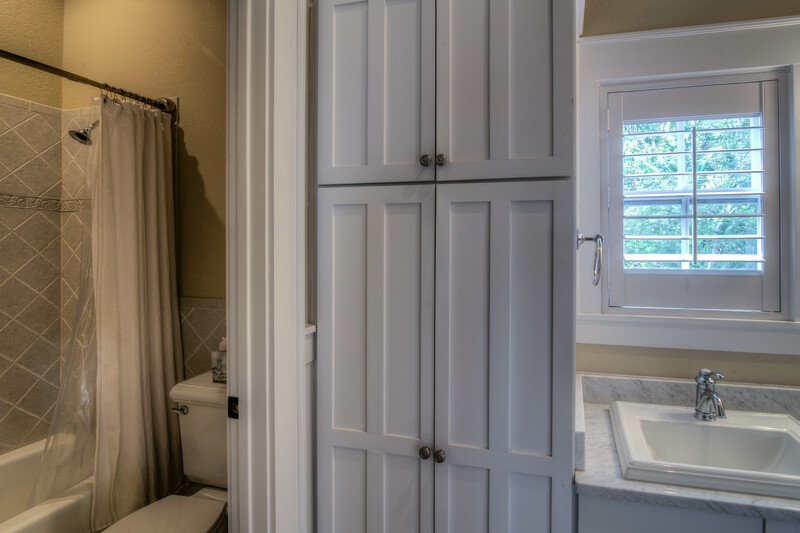 A spacious white bathroom with a shower and bathtub combination is located just off the main room. 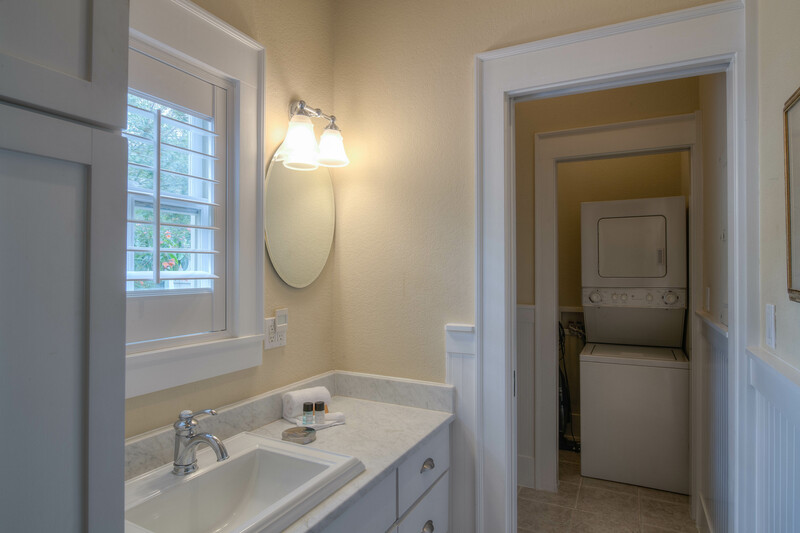 You’ll also find a separate closet area with a stackable washer and dryer just behind the bathroom. 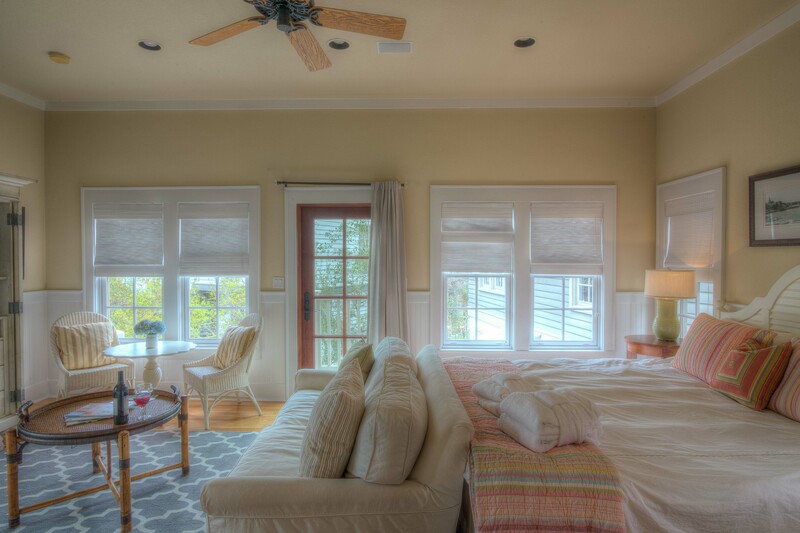 Hammock Carriage House is bright and cheerful with an abundance of windows and a small standing balcony just off the living area. It is decorated beautifully with mixed wood furniture, white linens and pops of color throughout. Wainscot lines the walls and gives the home a polished and sophisticated air. We really enjoyed our weekend getaway in Rosemary and this was the perfect spot for 2. Accurately described and was just as the pictures were shown. Will definitely stay here next time we're in 30A! Enjoyed our stay very much. The location is perfect, quiet and picturesque. Short walk to everything!! And the two bikes included is a an extra bonus! The property was very clean, very well equipped and made staying there comfortable and easy. 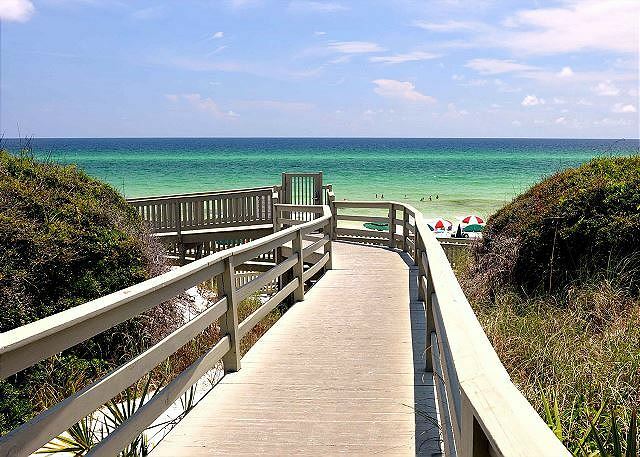 Working with 30a Luxury Vacations was a breeze and the app they use to give detailed information about the property during the stay is helpful and convenient. Will definitely use them again. Thank you for taking a moment to leave your lovely review! 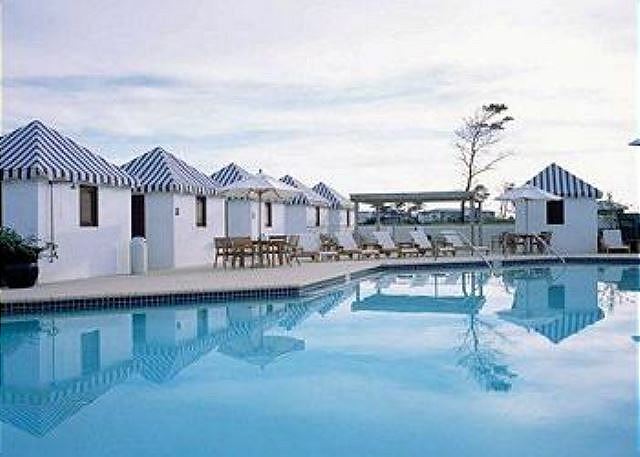 We are thrilled to hear you enjoyed your stay at Hammock Carriage House in beautiful Rosemary Beach. Our team members dedicate themselves to providing our guests with the ultimate luxury experience. 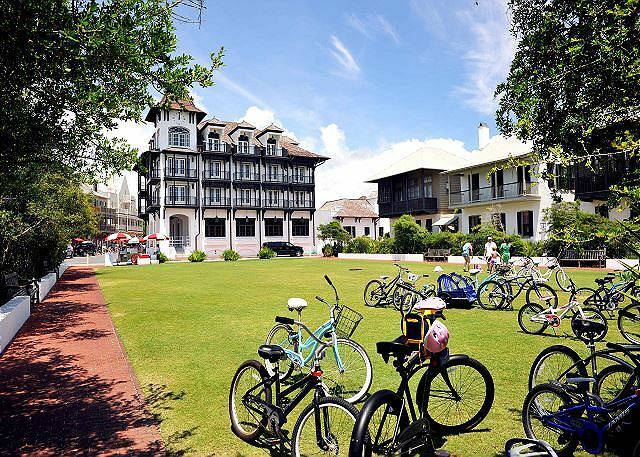 We are delighted the bicycles added to your wonderful experience and everything was such a short ride or walk away. Please come back and see us soon! Wishing you a safe and warm holiday season - Ally at 30A Luxury Vacations. Perfect for a couple's getaway - close to pools, shopping and beach! Thank you for the amazing review! We look forward to having you back again soon! We've been coming to Rosemary for several years and this carriage house was perfect for the 2 of us. It was spotless and had everything we needed. The management company was top notch and communicated before, during, and after our stay. Will definitely return. Thank you for taking the time to leave your valuable feedback! Our housekeeping team does an excellent job of maintaing our homes in pristine condtion. We look forward to accommodating your future stay! We thoroughly enjoyed our stay in Hammack Carriage House. It was as pictured and had all amenities described! Very clean and well-maintained. Perfect for me and my husband. We rode the bikes everywhere!! Often in the evenings we would take the folding chairs down to the beach and watch the sunset! Thank you for having those items available. We ate at The Pearl, Cowgirl Kitchen, Pescado (has a great indoor/outdoor bar, and Restaurant Paradis. Thank you for leaving such excellent feedback! Those are a few of our favorite restaurants too! We strive to provide our guests with clean and comfortable accommodations during their stay and answer any inquiries they may have. 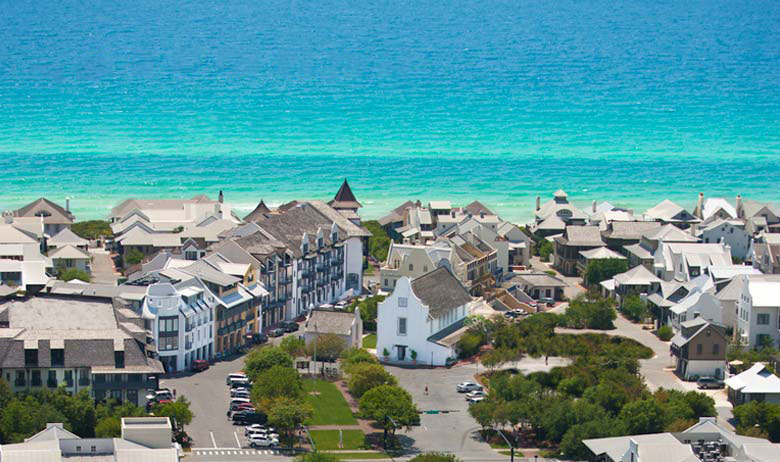 We hope that we have the pleasure of welcoming you again to Rosemary Beach! We spent 4 days in the Hammock Carriage House in a very cold stretch over new year's weekend. The facility is fine and roomy and has all the amenities we needed. It is very convenient to the town and beach. It is about a 10 minute walk to the beach from the residential town. We felt it similar to Carmel, CA. Beaches are gorgeous. We found the management staff to be extremely responsive to any questions or requests. Parking is restricted and the garage is small so be prepared for that-we left the garage door open. My first time in Fl and I selected the perfect place. The town is quant, beaches beautiful, and cottage was lovely. It was well appointed for a single person or couple. Bed was comfortable and overall very clean. Few recommendations: add some Saran Wrap or foil or even plastic containers so that guests can store cut up fruit or leftovers. Same is true for some better knives. We were very pleased with the Hammock Carriage House. It was true to the description on the web site. The unit was clean and had basics needed for a few nights' stay. The bed was very comfortable!We enjoyed having bikes and beach chairs and use of the garage. My 6-year-old daughter and I loved this carriage house for our mother-daughter get away. It was perfect. Smells clean and new and fresh, and has everything you might need, from laundry, to kitchen supplies. 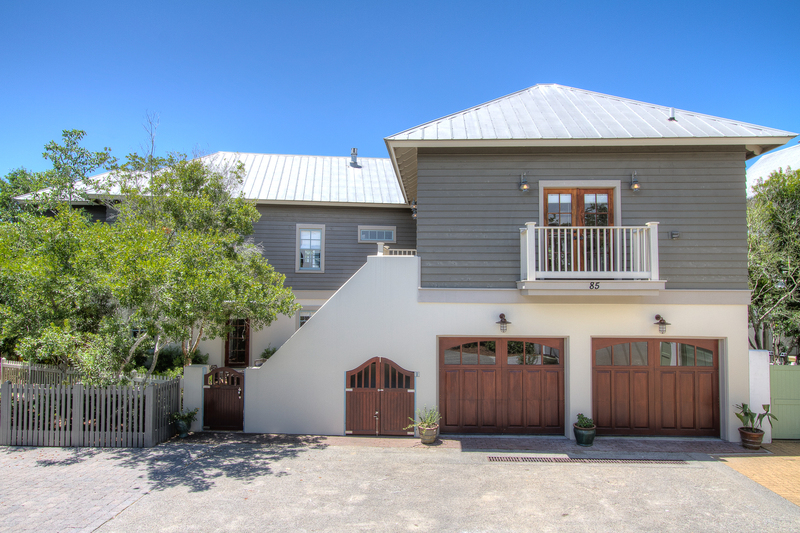 Amazing location right around the corner from the town of Rosemary Beach, just a few minutes walk, and probably a 1 minute bike ride. The bed might very well be the best part - incredibly comfortable King size with great pillows. In fact, I'd love to know where the pillows are from if the owner reads this. The carriage house is very private and we did not feel like we were in the way of the family staying in the big house. We barely saw each other. If I had to name any negatives, it would be that the TV acted up several times, but we always got it to work in the end. And there is no DVD player, even though there is one pictured in the photographs. We were able to pull up some movies on On Demand, but were a little disappointed we couldn't watch any of the DVDs we brought for our trip. Also, our bikes were being used by the family in the larger house when we got there, so we had a hard time tracking them down, but eventually the family noticed we were looking all over for them and were very apologetic about it. The garage door openers are very difficult to press in, they almost seem broken at first until you push them several times and they finally work. And the key lock boxes are difficult to open as well, I had to call because I thought mine was broken but we eventually got it. These are just little things I think future guests would want to know about, but overall, we were SO happy with our stay here, and the response of the customer service is incredible. They are always available by call or by text, and handled every issue with kindness and swiftness. We hope to stay here again many more times, and to make this a mother daughter tradition! Thank you for a wonderful visit! Great stay, would do it again! Had a few minor requests which management was very helpful with. Only critique for this property is most of the pull down shades are broken. I'm sure they get a lot of wear but you want to enjoy the beautiful view while you're there! Otherwise a beautiful studio carriage house centrally located in Rosemary with everything a couple needs for three nights in paradise, and then some. Thank you so much for being our guest and giving us such wonderful feedback! 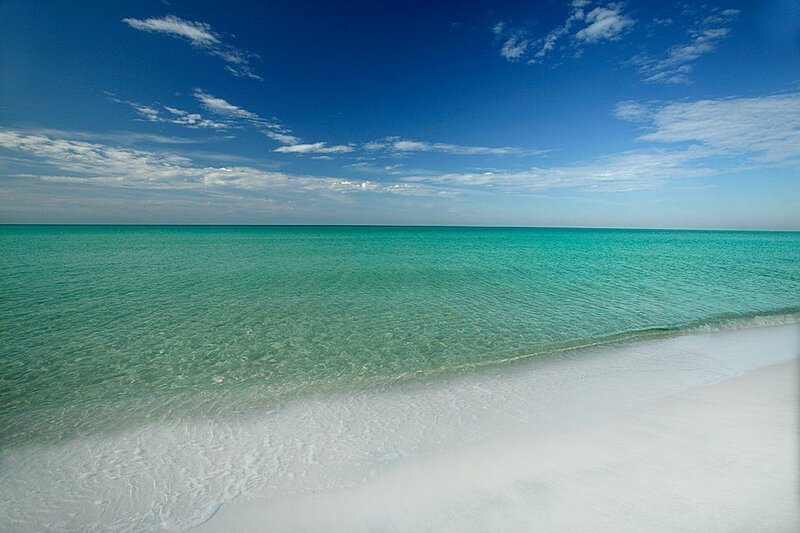 We are thrilled you enjoyed the elegance and beauty of Rosemary Beach. Please come back and see us again! I needed some time away from the grind of life and felt like beach therapy was the perfect answer! Was happy to find this perfect spot for 1 person to just get away and enjoy Rosemary. Quick bike ride to the beach and love the bed and bathroom space. TV was a little small to see from the bed but who goes to Rosemary to watch TV anyway?!? Thank you for the perfect oasis for some self care time! Such a great place to stay! Everything was accomodating! We enjoyed every single moment. Thank you for your excellent review of Hammock Carriage House! 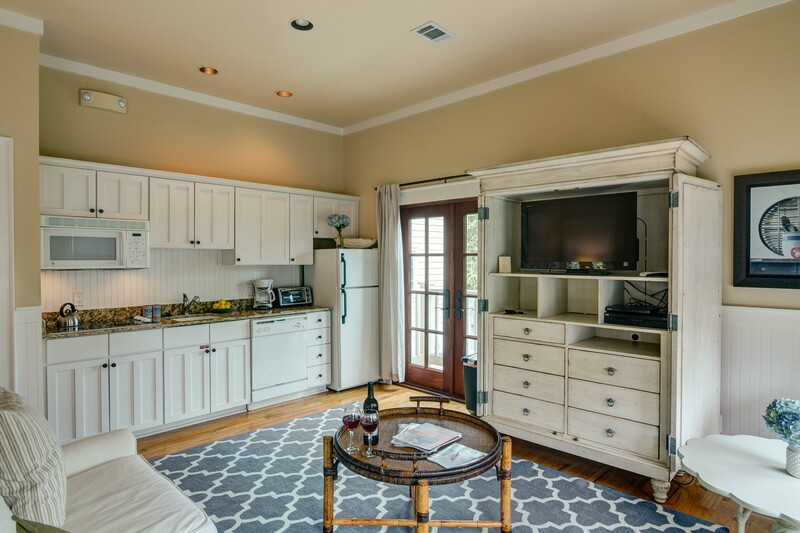 We are excited to hear this quaint little home accommodated all of your needs. Please come back and see us soon! I was extremely pleased with the carriage house. It could have easily accomodated four people, as advertised. It was charming & centrally located within walking distance to restaurants & amenities. I would definitely stay at Hammock house again. We very much appreciate your business and are glad that you enjoyed your stay in the Hammock Carriage House. We look forward to having you stay with us again and please let us know if we can be of any assistance in the future! Lovely carriage home with everything you need for a couple or family of 3. Thank you very much for staying with us! We are glad that you enjoyed your stay in the Hammock Carriage House! Please let us know if we can be of any assistance in the future and we look forward to accommodating you again! The rental experience was easier than checking into a hotel. Even though the property had construction in progress the debris was never on the streets. We still give the property a "clean" look. We can't wait to come back and visit. The actual rental was clean when we arrived. Extra towels were provided. Since our stay was over the July 4th week, we were surprised with 4th of July cupcakes, stickers and glow in the dark necklaces for the kids. I had the 30A app on my phone so getting reminders such as taking out the trash and events for the week was great!!! We very much appreciate your business and are glad that you had a great experience staying in the Hammock Carriage House. 4th of July in Rosemary is one of the most exciting times of year! Hopefully you were able to catch the amazing fireworks show on the beach, and that the glow sticks were put to good use by the kids! Thank you so much for staying with us and we look forward to your next trip! Went with my boyfriend and it was the perfect spot! Only a short walk to town and the beach. Very comfortable and well done! The Hammock Carriage house was as described and looks exactly like the pictures. The condo was very clean and surprisingly furnished with basic toiletries. The mattress was a little firm for my preference, but did not interfere with sleep. As described in other reviews, there are several windows which allow the room to light up in the morning (not terribly bright). We didn't mind at all because we didn't want to sleep in on vacation. This was my first time staying at the beach and not being directly on the beach. The bike ride wasn't bad at all, two turns out of the driveway and you are riding right through town to the beach. We enjoyed stopping for breakfast and/or visiting the shops along the way. The beach was the cleanest beach I have visited in Florida. I would definitely stay here again. We very much appreciate your business and are glad that you enjoyed your stay in the Hammock Carriage House. Not many people believe that they're in Florida when they step foot onto the beautiful white sand beach that we have here! We are so glad that you enjoyed your stay with us and look forward to accommodating you again in the future! 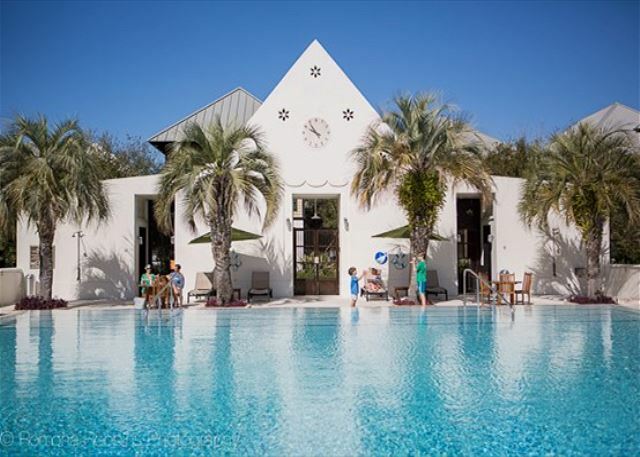 Our family had an amazing time staying in Rosemary and at the hammock Carriage House. The house was very clean, well laid out, and very conveniently located near the main street, evening entertainment, and beach. The map made it seem a little farther away then it actually was ... again, GREAT location. Thanks 30A for helping make our little get away perfect! We are so glad to hear that you had an amazing getaway in the Hammock Carriage House! Thank you for your business and we look forward to having you stay with us again! Perfect amount of space for us and our son. It was a 30 second bike ride to the center of Rosemary as well as the pool. We would stay here again! Perfect size apartment for a 4 day get away. Clean and everything in good working order. Refrigerator makes a really loud noise sporadically, even with the ice maker off. Became an inside joke and only enhanced our vacation. We loved the bicycles. Walking distance to anything you would want to do in Rosemary. Would definitely come back! We very much appreciate your business and are glad that you enjoyed your stay in the Hammock Carriage House. We are sorry for any inconvenience the fridge may have been for you and will make sure we get that checked out by our maintenance team. Thank you so much for staying with us and we hope to accommodate you again in the future! My wife and I stayed at the Hammock Carriage House in February. 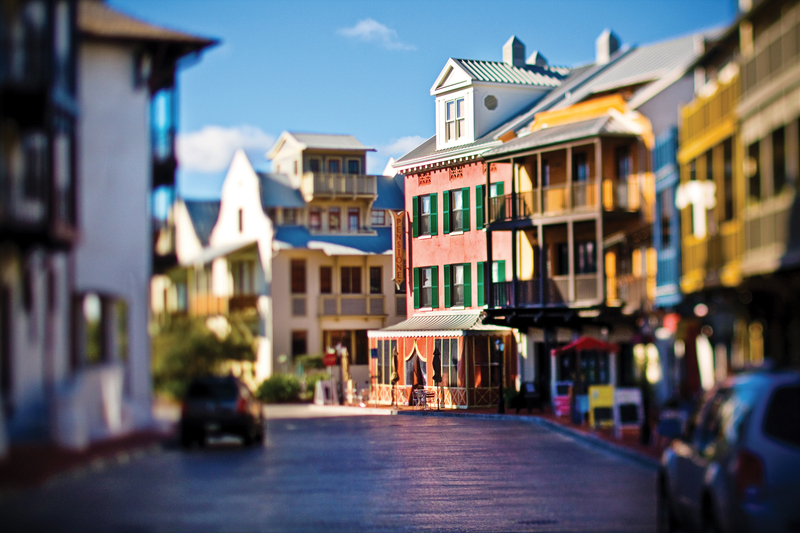 We have been to Rosemary Beach many times, but this time it was without kids. This carriage house was just great. It was clean, well stocked, included a Washer/Dryer, had a good wireless signal, had an AppleTV and was an easy walk to Barrett Square. 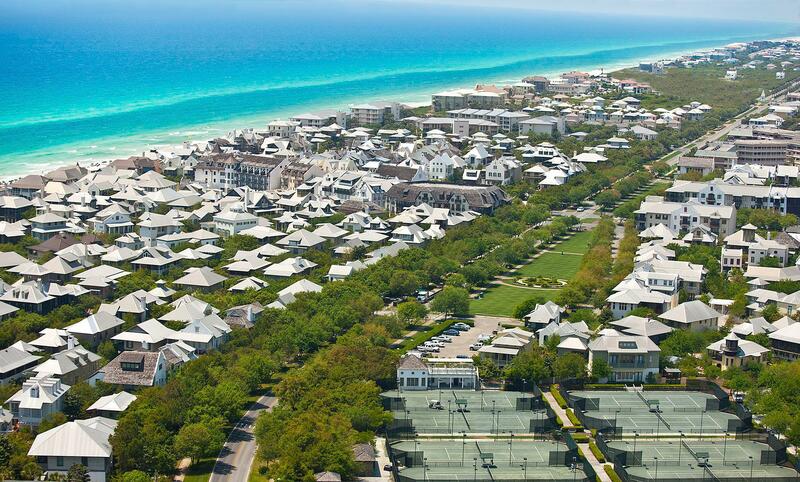 30A Luxury Vacations was great to work with. We liked the easy check-in/out and their phone app answered any questions that we had. 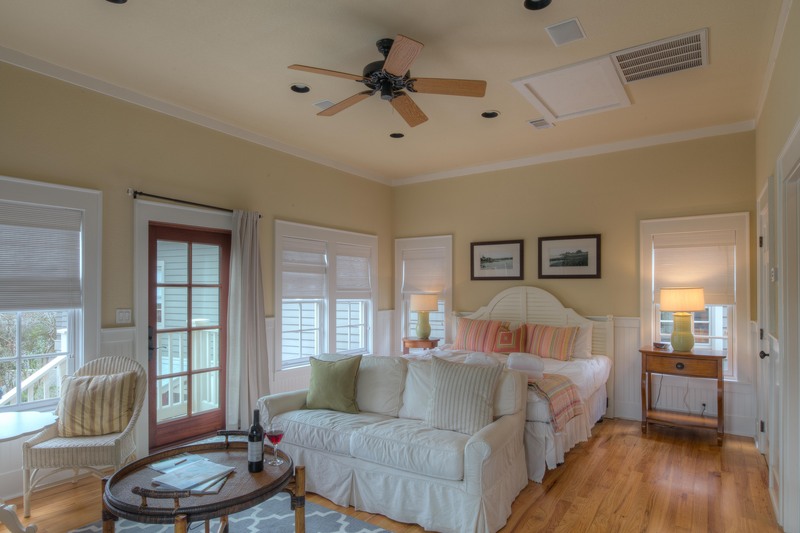 We would stay at this carriage house again and also recommend using 30A Luxury Vacations to find your next vaca house. We are so glad that you enjoyed your stay in the Hammock Carriage House! The app definitely makes many things more convenient for our guests and we are glad you had a great experience with us! 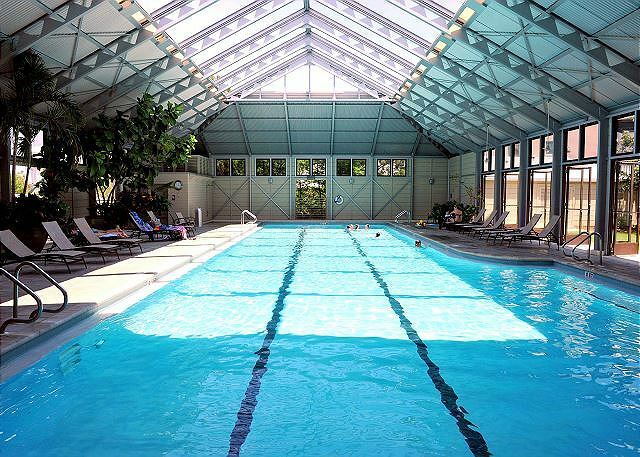 On your next trip here, whether it's with or without the kids, we hope to have the pleasure of accommodating you again! Thank you for your business and please let us know if we can be of any assistance in the future! I came to town for a quick 3 day trip to learn from the tennis pros and Rosemary Beach Racquet Club. This was the perfect place to fit my short term needs at a reasonable price. Beth & Chris from 30A luxury rentals were great professionals. The unit was very good. The only thing that I would suggest is that you provide a sheet that describes the amenities in Rosemary Beach and the location of the pools. It was incredible. Love the studio cottage feel, immaculate and quiet. Easy walk to the beach and shops. Would stay again next year!! The Hammock Carriage House was exactly as pictured and everything I expected it to be - adorable! Less than 5 minute walk to the coffee shop evey morning, 2 minute walk to the closest pool, and about 10 minutes to the beach. For a 4 adult girl's trip to the beach, it couldn't have been better! La Crema was our favorite restaurant and cocktails at The Pearl were fabulous! Plus, we were able to get in early as they texted me and let me know. I highly recommend this rental! We loved it! The room was nice and had everything we needed. This rental was everything we had hoped it would be. It was super clean and larger than expected. The ONLY thing I remember wishing they had had was a full length mirror in the bathroom. Other than that this place was amazing and i would highly recommend it! The room accommodation was clean, well appointed and included good uality linens and bathroon supplies. All arrangements e.g. check-in, bike pick up and payment went flawlessly. The property was amazing and I would consider renting through the same company again. It is in an excellent location which is walking distance from the restaurants, shops and the beach. The rental included 2 bikes which made travel much more convenient. Very clean, perfect size for a couple, and very open feel for a studio carriage home. The only downside is there is the grill and patio are reserved for the main house, but this is commone for any carriage home rental. I would definitely recommend the property to potential renters. The location was perfect for downtown area and not far from the beach. Cozy carriage for a couple in a great location! The location is super convenient to Barrett Square and an easy walk to beach! The property was clean and the bikes were waiting for us. The washer/dryer/kitchen was a plus. Only small recommendations for future guests...replace the iron, allow one parking spot in garage (as parking a steet away is inconvenient) and improve wi-fi. Thank you! We loved our stay! It was the perfect size for the 2 of us very comfortable and cozy. We would definitely stay there again. Just one very little thing missing was a full length mirror. But for sure that little thing took nothing away from our fabulous stay at the post house in my favorite beach town. We just stayed 3 nights at Post Carriage House in Rosemary. It was clean and comfortable and perfect for a couple weekend getaway. There is a also a sofa that is a sleeper sofa so you could have an extra person or 2. We enjoyed the 2 bikes that came with the house. The AC was a bit loud and it never turned off and the blinds on the windows were not the blinds that blocked all sunlight out so you were awakened to light. Overall it fit our needs and we had a nice stay at Rosemary Beach. We stayed here for a week with our 16 month daughter, and it's the perfect size for a small family. I liked that there was a king sized bed (could have been a little more comfortable, but we're used to a temperpedic at home), and the towels were really soft. We needed more hand towels and wash cloths though. The AC went out on our first day there, and it took several hours to fix. Our daughter took her afternoon nap and it was 86 degrees inside, so that was the biggest problem with the rental. I wish that it had been taken care of more quickly. Other than that we had a good stay, and I liked how the check in process was easy. They just texted all of the codes to us. The company was good about staying in touch and responding to our texts. Overall we had a great stay at this rental! My husband and I found this little slice of paradise perfectly charming for our vacation. This spot is much closer to the town center than I thought. It took us about 2 minutes to walk to our favorite coffee shop as well as a 2 minute bike ride to the beach. This space was clean and cozy. My favorite surprise was the apple TV. The only not perfect thing I have to say about this place was the shower head and lack of a blender. These two things barely mattered overall. I highly recommend staying here! This is a wonderful location--perfect for a romantic stay. We had almost everything we needed, with the exception of hangers in the closet, which we purchased and left for the next guest, and toilet paper, which we also had to run out and buy as there wasn't any. The space is comfortable and well-cared for. 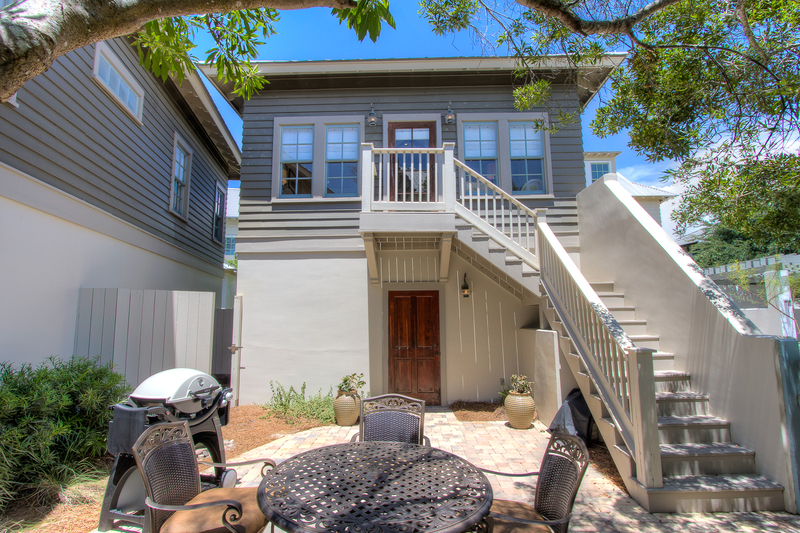 The location in Rosemary Beach couldn't be better--walking distance to everything. It was wonderful to have bikes available to us. Our check-in and check-out process was easy. Highly recommended and we hope to be back! My husband and I stayed in the Post Carriage House for 5 nights. The property was in a great location (near the Town Center and short bike ride to the beach) and was very well maintained. I was concerned that it would seem a bit small but the high ceilings and balcony area made it feel spacious. My husband enjoyed the fact that it came with Apple TV and cable. The only complaint was that the bike company gave us bikes with the incorrect lock code and it took two calls to figure out the right code. One lock never worked and although they said they would replace it on the second morning we never saw them. Also, a full length mirror would be nice! Overall, a fantastic stay at Post Carriage House. Wonderful, spacious room! My only criticism is that the shades on the east windows are not enough to prevent lots of morning light in. Impossible to sleep in. Would suggest putting black out panels on those windows that can be pulled in the evening. We loved the Hammock House! It was perfect for just the two of us. The house was clean and even came stocked with a few things like-- dish and laundry detergent, paper towels, and nice clean towels. We really appreciate you letting us stay in your house!